The AXA Group is a worldwide leader in insurance and asset management, with 166,000 employees serving 103 million clients in 64 countries. AXA is the number 1 Global Insurance Brand for the 9th year running, and is also the number 1 insurance company in the Top 50 Most Innovative Companies. Our 4 core values of Customer First, Integrity, Courage and ONE AXA defines our culture which is one of Trust, Innovation and Inclusion. AXA’s Activity Based Working environment offers a wide range of modern work settings designed to be used depending on the work activity. Simply put, you get to sit at different places within the office everyday! Our internship programme is packed with development opportunities and engagement with senior leaders including a Mentor & Mentee programme. There are specially designed Master Classes to learn new skills or knowledge that are completely Free! Interns are assigned work that are relevant to their field of studies and interest. 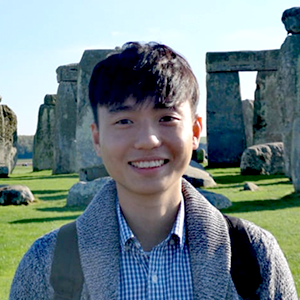 Ivan graduated with Second Upper Honours in Biological Sciences from Nanyang Technological University (NTU). He's a Financial Services Manager at Teo Jun Hao Organisation representing AXA Insurance Pte Ltd.
Natalie graduated with a Bachelor of Banking and Finance (Honours) from Nanyang Technological University (NTU). 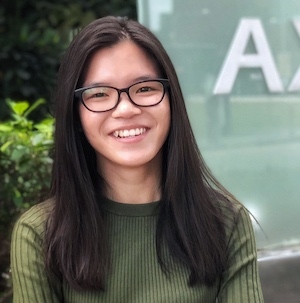 Ashley How, an undergraduate at Nanyang Business School, is also an Operation Excellence Intern at AXA Singapore. Learn all about AXA's Cultures and Values. Have you wondered what it means to be an intern at AXA? And no, it isn't just about working in compliance and actuarial!